Fancy a journey through Vietnam that also includes an adventure of the taste buds? 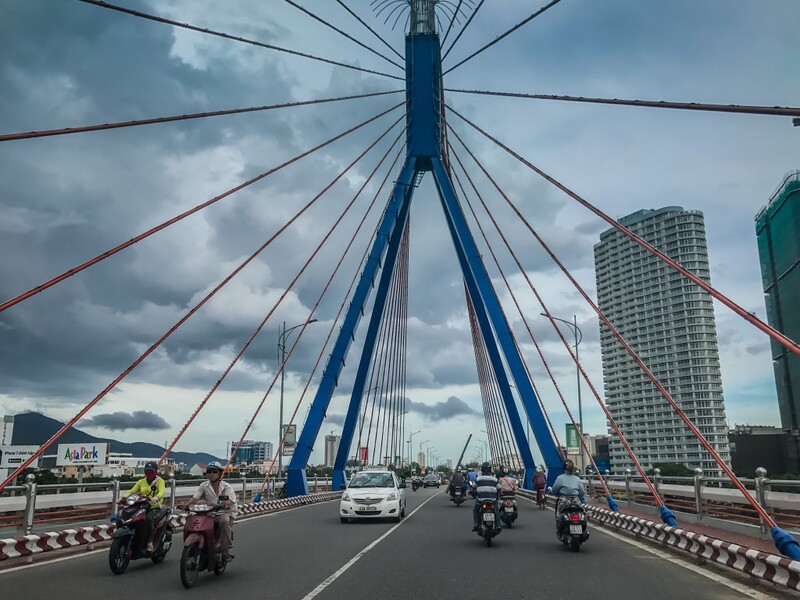 We’ve designed a route through one of Central Vietnam’s largest cities that delves deeply into cultural and gastronomical experiences with a little bit of adrenaline sprinkled on top. 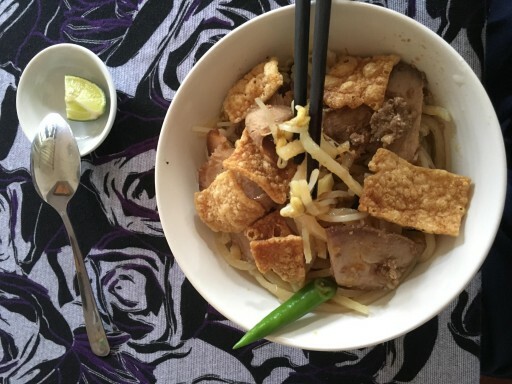 Our Da Nang food tour focuses on getting close to all things Vietnamese. 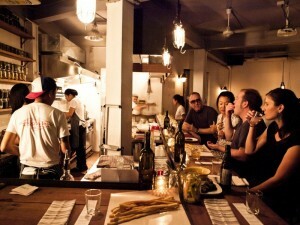 This day is designed for the food and adventure lovers that we host here in South East Asia. 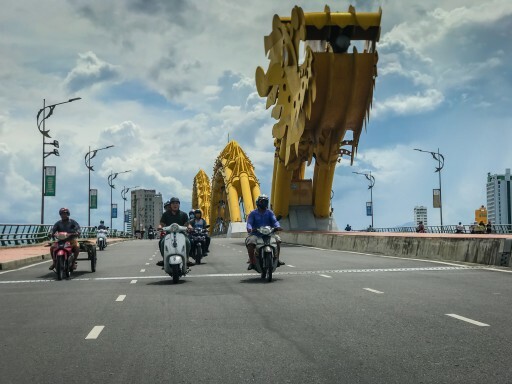 We’ve designed a great day that focus on two of our most favourite things about Vietnam: scooters and food. Let us show you what a day on a Smiling Albino Da Nang Foodie Adventure looks like. This day trip, is a way experience the city like a local – no better way to achieve this, than to get on a scooter. Don’t worry – you don’t’ have to drive, relax from the pillion position while our expert chauffeurs take you through this cool town. 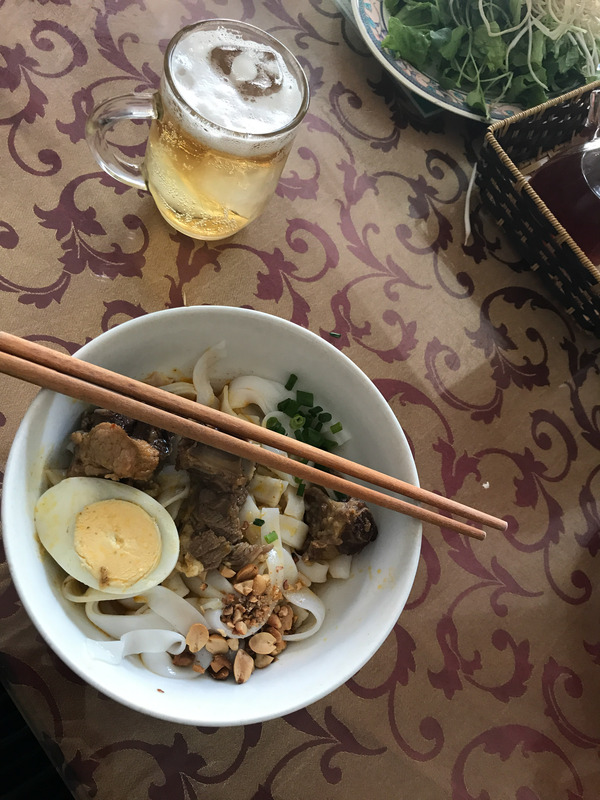 Our first stop, is to get a special noodle dish from Quang Nam Da Nang Province, where Da Nang is located in central Vietnam. This regional delicacy is normally served with Pork and Shrimp (together). 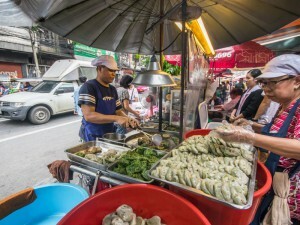 It’s eaten with a crispy rice pancake called bánh tráng, key ingredients include lots of fresh vegetables, and peanuts which gives it a unique taste to some other noodle dishes. 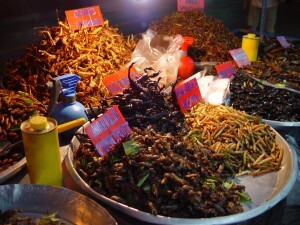 One can not spend the whole day eating, and this is a discovery into everyday life and culture of Vietnam as well. 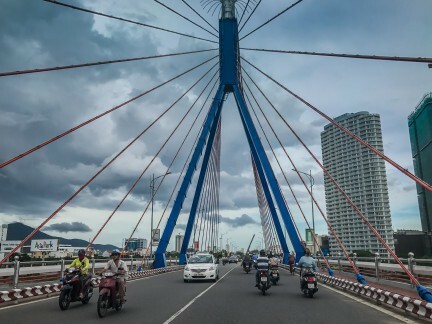 Driving to Da Nang it’s impossible to miss this famous coast line. 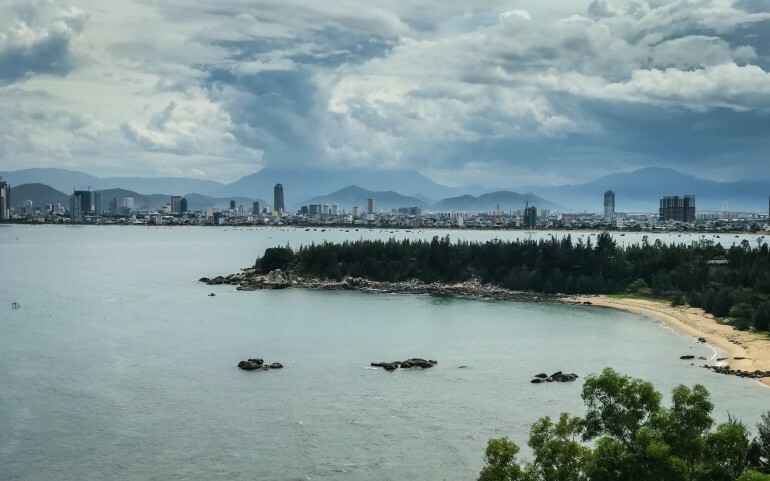 We’ll check out China Beach, this coastline is 30km long and you could walk from the base of Monkey Mountain, on the northern edge of Danang all the way south to the ancient city of Hoi An. 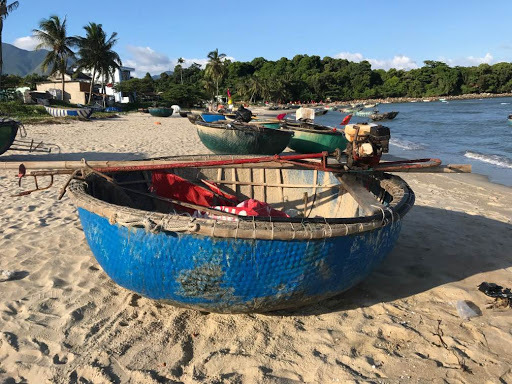 While we’re waiting for some of the food to digest, we can get some fun as well as take some time to check out local fisherman and their basket boats. Unique to Vietnam these unique coracle shaped boats have been used for years for fishing. 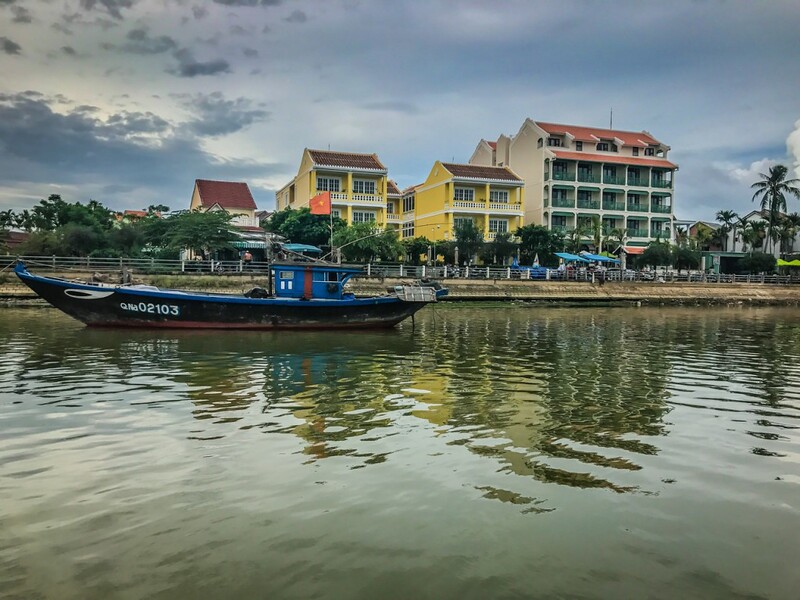 When we talk about every day Vietnamese life in relation to food, the nuances of a country certainly add a great character. A Street food adventure of Vietnam wouldn’t be possible without some tiny chairs and an outdoor stove! Most shops don’t have permits to have their tables all the way out into the street – tiny plastic furniture is a way to vendors to quickly pack up and clear out when needed! Next on the menu is a fun “do it yourself” type pork dish. Bánh Cuốn Thịt Nướng are wet pieces of rice paper (or pancake) rolled with grilled pork and is a common dish in central of Vietnam. You get all the mixers and build your own specifically to your own liking. 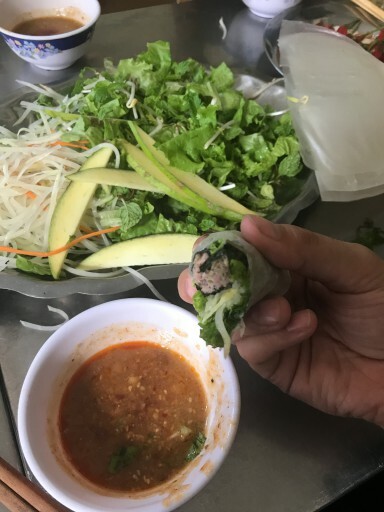 They are served on a tray consisting of a stack of wet rice papers, skewers of charcoal grilled pork, a dish of fresh herbs and vegetables, and a peanut sauce as a dip. What you need to do is roll it, dip it and enjoy! Hoi An deep-fried Hoang Thanh is the crispy signature in the town. The hot shrimp dumplings are topped with a kind of slightly sour and spicy sauce consisting of shrimp, char siu pork, and crispy vegetables. 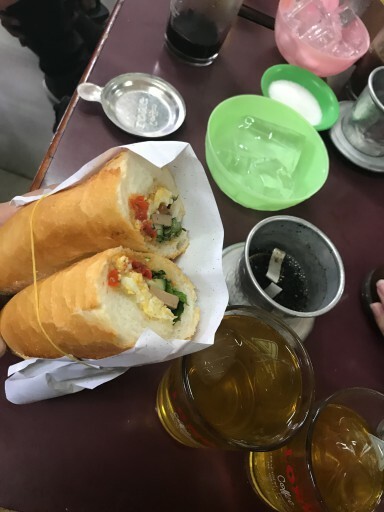 Bánh mì is a speciality known for it’s origin’s in Saigon, however you’ll find you’ll be enjoying this popular dish all over Vietnam, it’s similar to a french baguette sandwich, the special Vietnamese twist is that it’s made with some rice flour. A Vietnamese streetfood tour couldn’t be complete without this, no matter where you are, it’s delicious so we include it in every city in Vietnam so people can try many variations. Our suggest is to be adventurous and try the banh mi dac biet, which is the “cart special”. Beautiful to look and, and tasty to eat, Banh Vac is filled with ground shrimp, garlic, spring onion, lemongrass and spices while Banh Bao has minced pork and mushrooms as the main fillings. 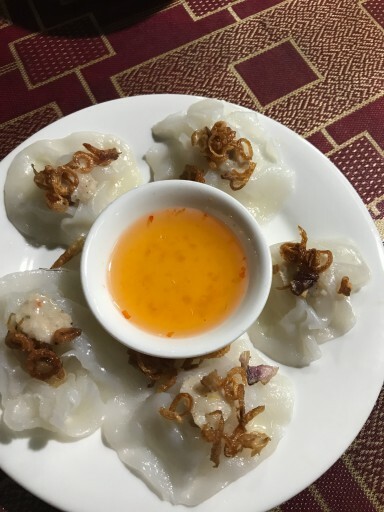 The dish is served with a dipping sauce made from shrimp broth, and they are quite similar to trying a dumpling. 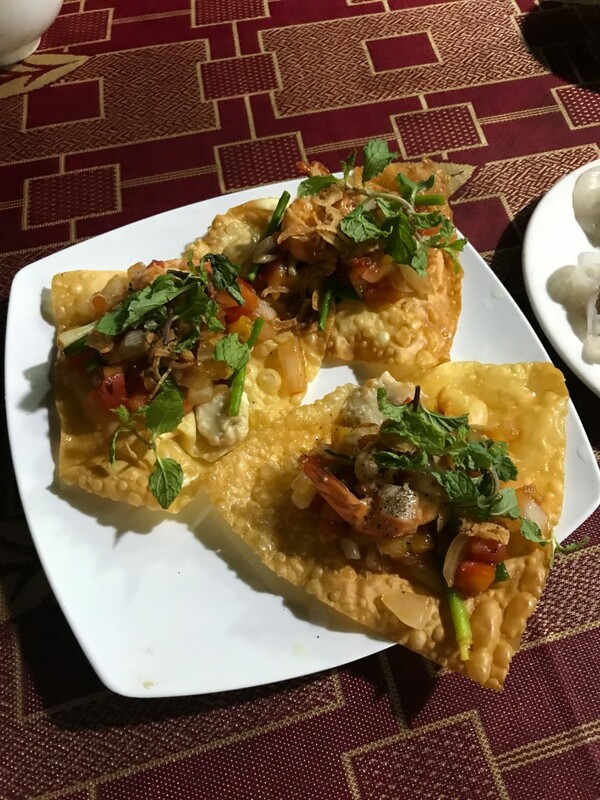 Their name comes from Vietnam’s Indochina history, the name means “White Rose” and they do have a little bit of a mystery about them – one family has a secret recipe for them, and supplies all the nearby restaurants in town with them. 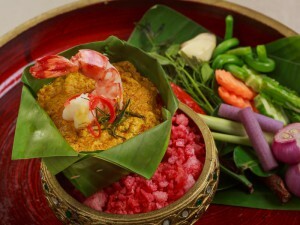 A short 20 mins drive away is a famous little town called Hoi An, here the delicacy is Cao Lầu. Noodles for this dish are all made by the same family. Want to know the recipe? You can only find out by marrying into the family, the secret ingredient has lasted generations, and while many will try to reverse engineer or copy it, it’s never been duplicated. It’s believed that the unique taste and texture is achieved by using water from an undisclosed ancient Cham well. 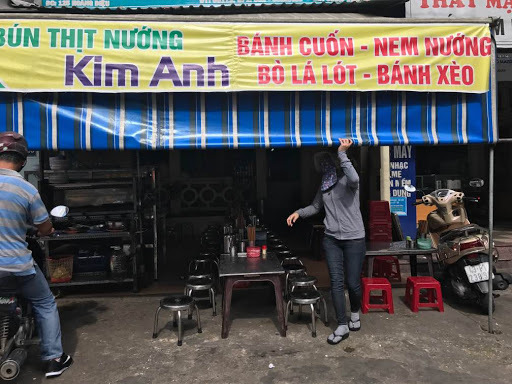 It is very satisfying to have the real dish in the place of it’s inception, however Cao Lầu is so popular, there are some restaurants in Saigon that will get the ingredients shipped in fresh daily so you can enjoy this unique dish in different parts of Vietnam. 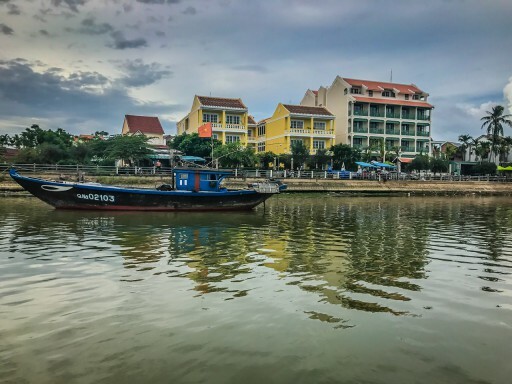 Check out a video we made in Vietnam that captures some of these experiences in real life, with a few moments from Hoi An and Hanoi included as well.